Seomra Ranga is offering companies with an interest in the field of education the opportunity to advertise their product / store / service on the site. This is a unique opportunity to support the work of Seomra Ranga, and at the same time reach out to the education community in Ireland and beyond through the means of advertising. 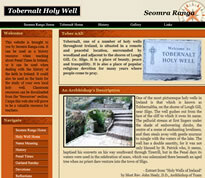 Seomra Ranga has developed over the past three years into one of the leading educational websites in Ireland. 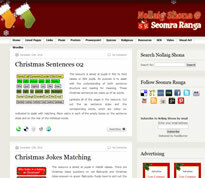 Advertising on Seomra Ranga makes sense as it is guaranteed to reach thousands of visitors each month. 1. Take out a premium advert (125 X 125) which will appear on every page, category and post on the site. These ads can be purchased for 30, 60 or 90 days. These ads should be supplied as .jpeg file, designed to size and as small a file size as possible. Alternatively, a URL of the location of the image may be supplied. Animated ads may be supplied, with the frames set in an infinite loop. 2. Take out a hypertext link advert which will appear on the “Stores” page, located in the central tab on the top of the screen. These ads can be purchased for a nominal yearly subscription. These advertisements will appear on the page in the order that they were received. 1. Seomra Ranga reserves the right to approve ads for the site, ensuring their suitability and appropriateness for an education-based site. 2. Seomra Ranga reserves the right to determine the layout and design of the ads on the site. In this regard advertisers should note that ads will be displayed in a random order to give an equal opportunity to all our advertisers. 3. Seomra Ranga reserves the right to amend and edit the layout and design of the site at any future time thus resulting in a change in the way ads may appear on the site. 4. Seomra Ranga cannot accept any legal responsibility for the accuracy of the advertisements, or any alleged breaches of contract on an advertiser’s part and the advertiser indemnifies Seomra Ranga against all costs, expenses and losses arising out of a claim relating to the content of an advertisement. 5. If advertisers wish to have their advertisement removed from Seomra Ranga before the end of their subscription period, this will be done, but no refunds will be paid. 6. Seomra Ranga will only accept advertisements which have been paid for in advance. 7. If an advertiser attempts to enter unsuitable material onto the Seomra Ranga website, Seomra Ranga reserves the right to remove the advertisement from the website. No refunds will be paid. 8. Seomra Ranga reserves the right to change the rates and conditions of advertising without notice. Any new rates will be applicable immediately for new advertisers and upon renewal for existing advertisers. 9. By paying for the service provided, advertisers accept the terms and conditions stated here. Any company wishing to find out how to advertise on the site can use the Contact page to make an enquiry.